I started creating my shopping list starting with the obvious things. 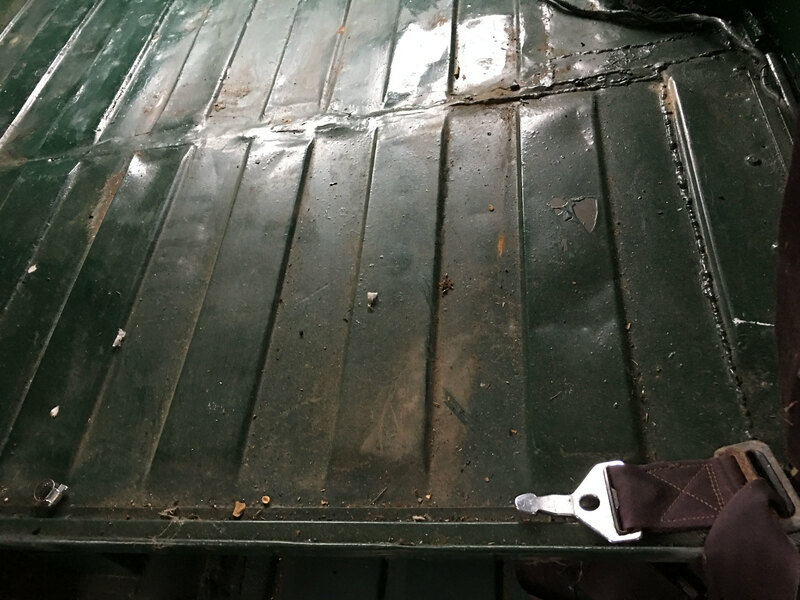 As far as body panels are concerned, a complete cargo floor is definitely in order. 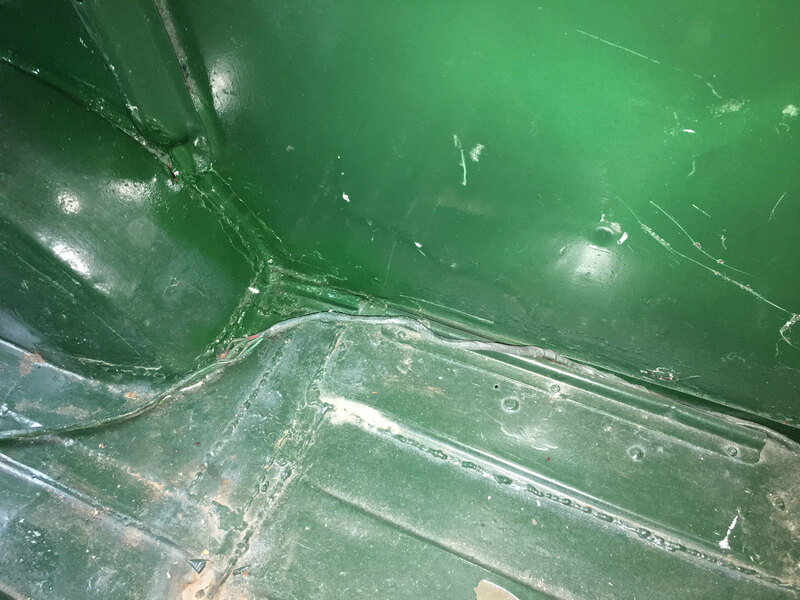 The abused and patched floor in the van would take more time than it's worth to bring it up to standards. Patches to replace patches? Nope. 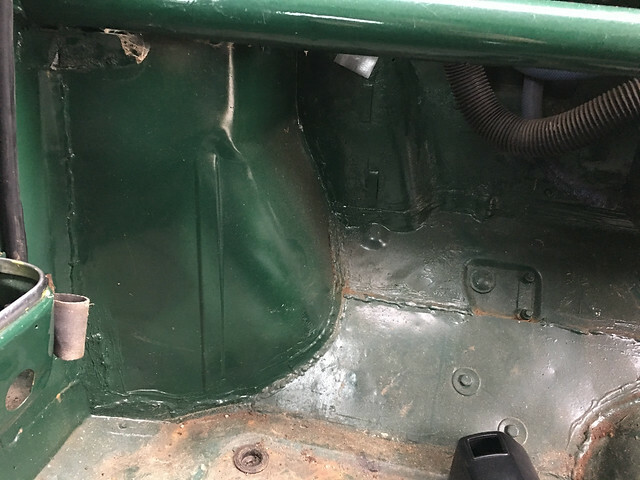 The floor may only require some stripping and clean-up of the welds (pretty obvious that pan halves were installed at some point in its past). 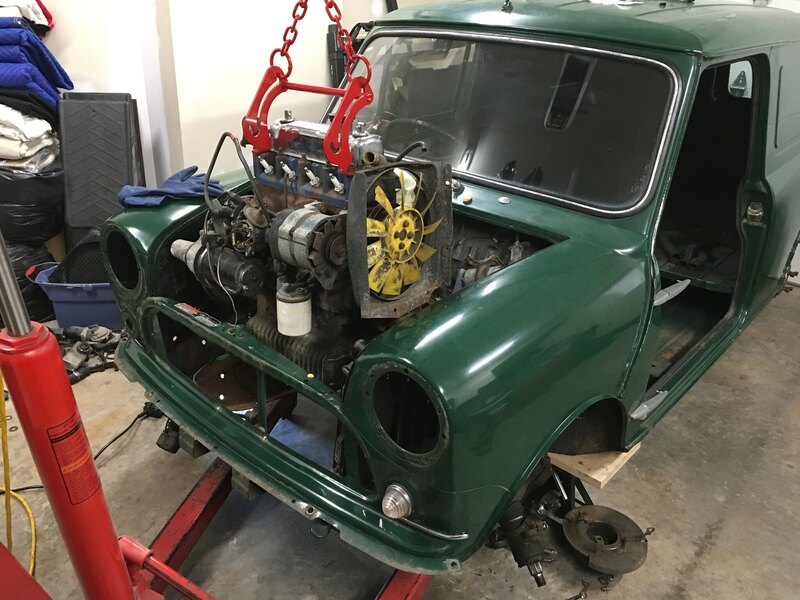 I'll know better once I've got it stripped. The inner wings, as viewed from the interior, are another story. The work near the scuttle at either end is pretty sketchy. I need to develop a plan of attack. The toe board panel is definitely being replaced. 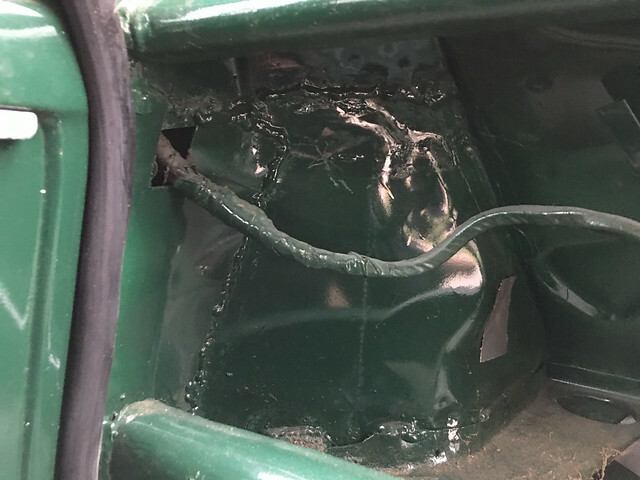 The existing repair job is a mess. 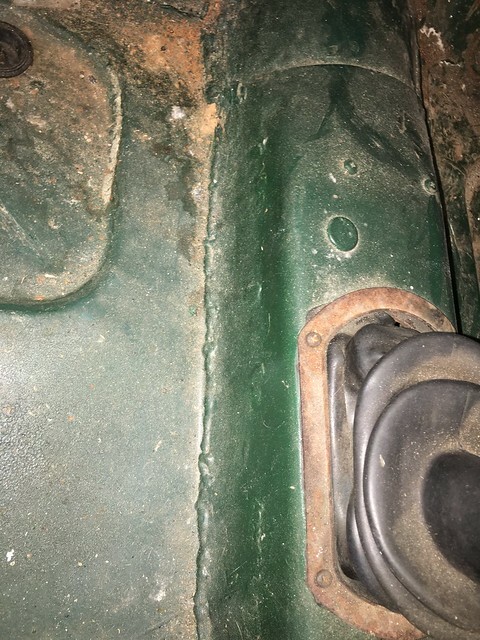 Also, the back edge of the front bumper doesn't bend down to meet the front panel like the unit on my '79. 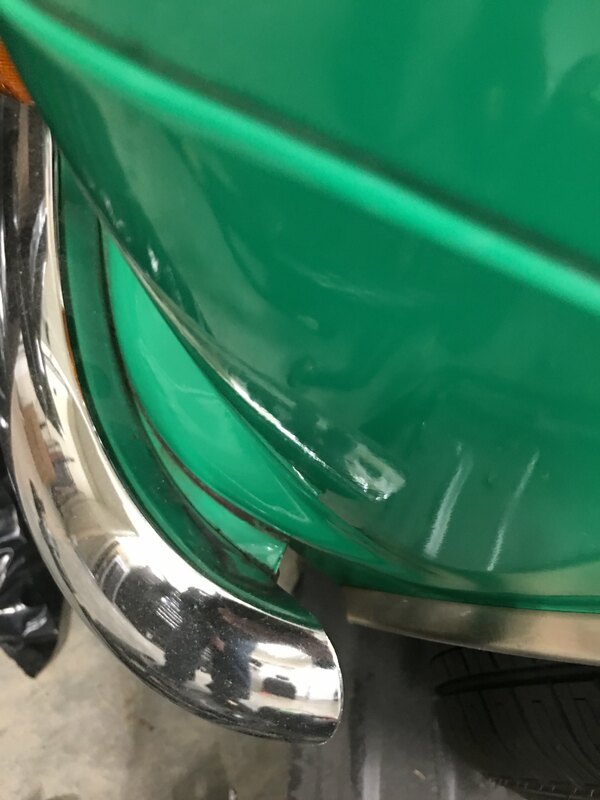 I like the cleaner design of that bumper as it hides the mounting hardware however I don't want the front and rear bumpers to not match so I need to figure out who offers what as replacement units. Edited by Vudu, 17 January 2019 - 01:41 AM. GraemeC - thanks for the tip. 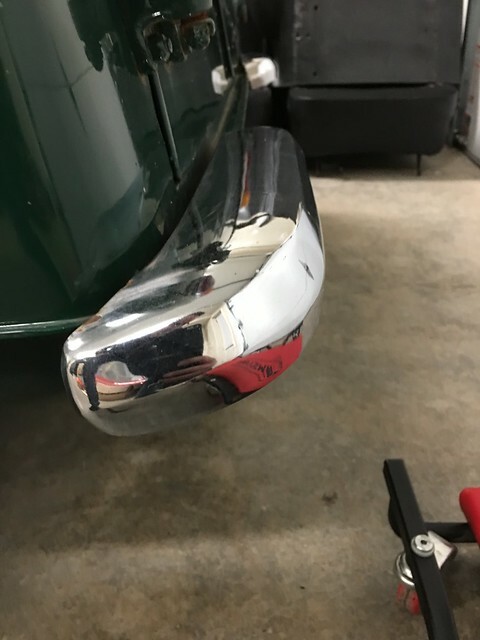 I didn’t even consider that because I incorrectly assumed the Clubman front was straighter than the roundnose. Took the day off from work and was able to devote some time to the tear-down. 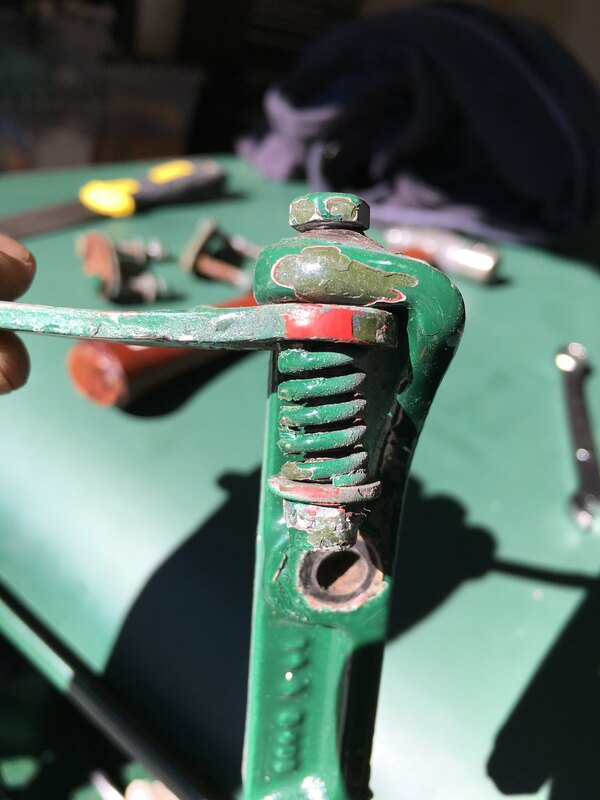 Although the van is simpler than the saloon, stuck and/or broken bolts along other things tend to complicate matters and level the playing field. 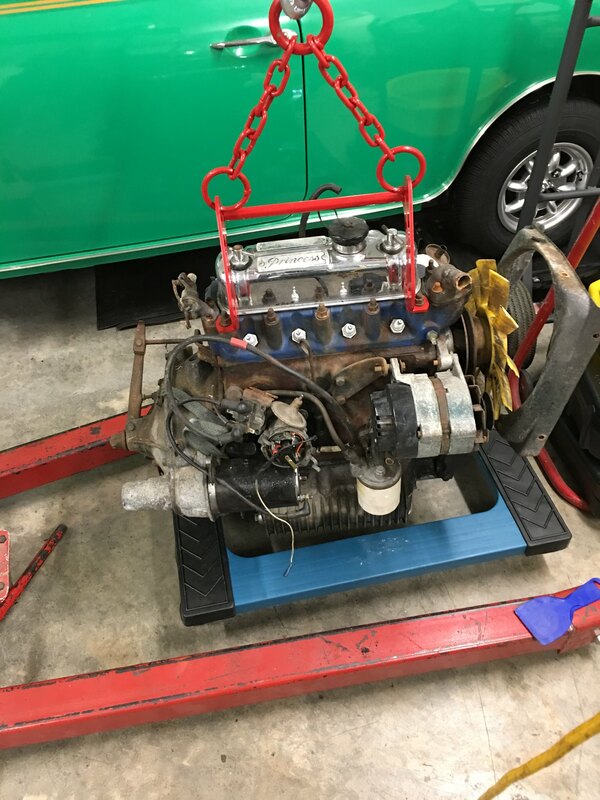 The goal was to get the engine/trans out today but between a frozen axle nut and ball joint, things didn't go as planned. The axle nut finally broke loose but the ball joint is still fighting me (it won't respond to either the pickle fork or the ball joint tool). 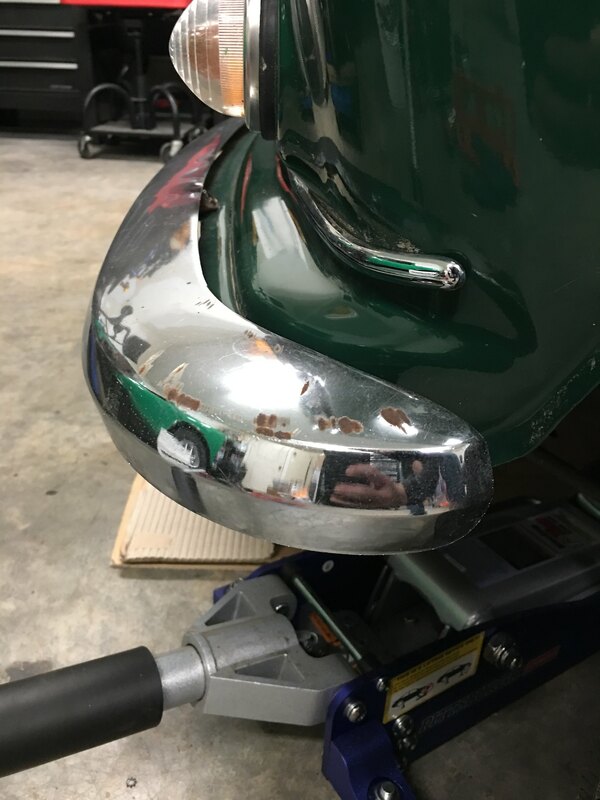 The headlight buckets were rotted out near a few of the screw holes and simply weren't worth saving. 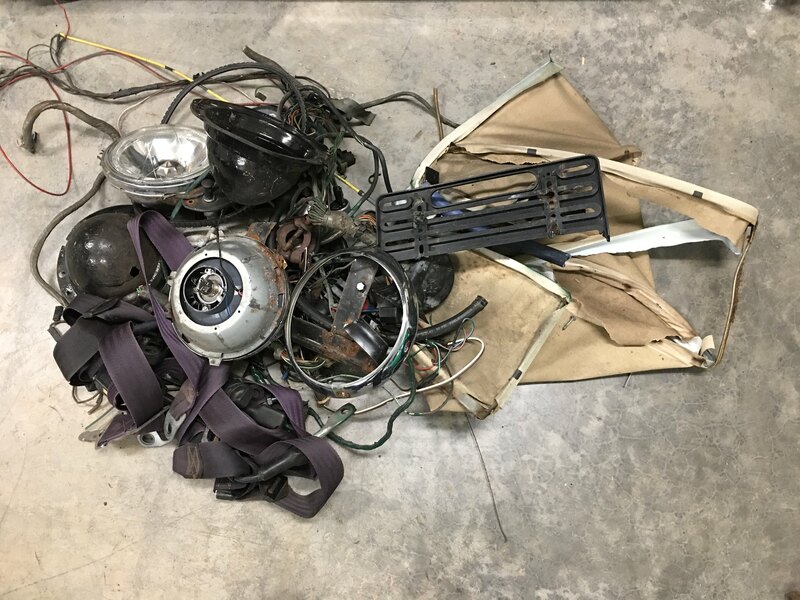 Headlight rings were all dinged up as well. 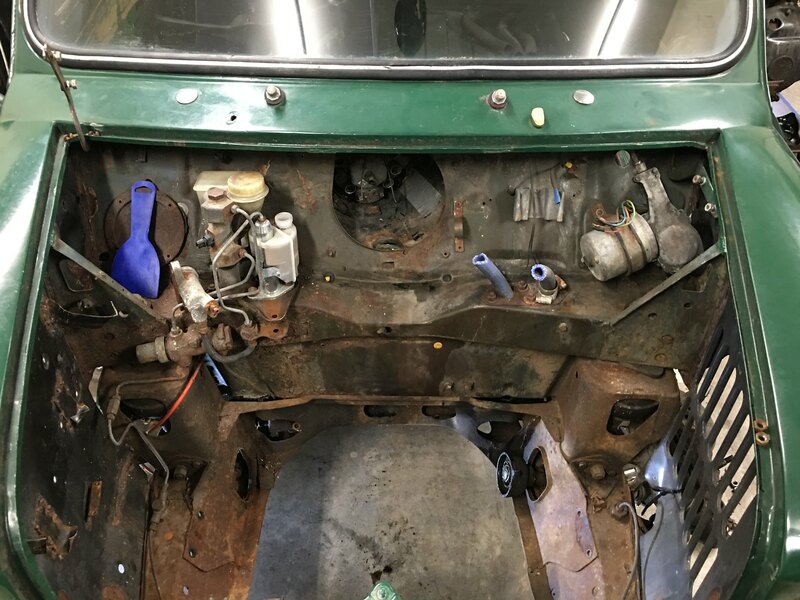 The seat belts might have a disease and the wiring harness was a rat's nest of orphan wires and splices everywhere. 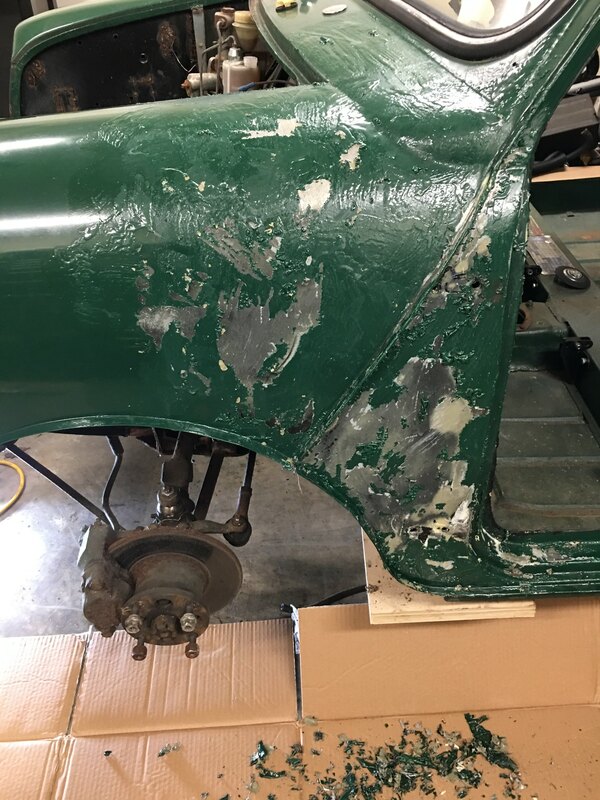 Old cars are always an interesting collection of evidence... various repairs and "improvements" made over the vehicle's life are a collection of scar tissue, most of which needs to be removed. This van is certainly no exception. Even if it would have started, it wouldn't have been road-worthy. It's clear that the wings, inner wings and A panels have all been replaced (the wings still have remnants of the panel manufacturer's stickers). 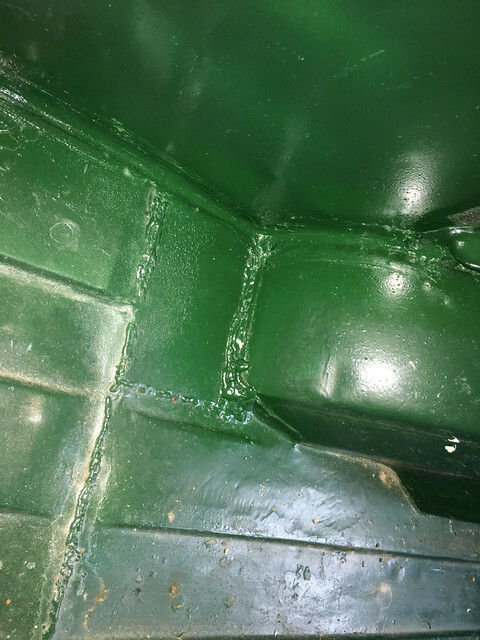 The bulkhead appears to be a patched-up original as is the floor tunnel. Once the drivetrain and subframes are out, I'll have a better idea of how to approach things. 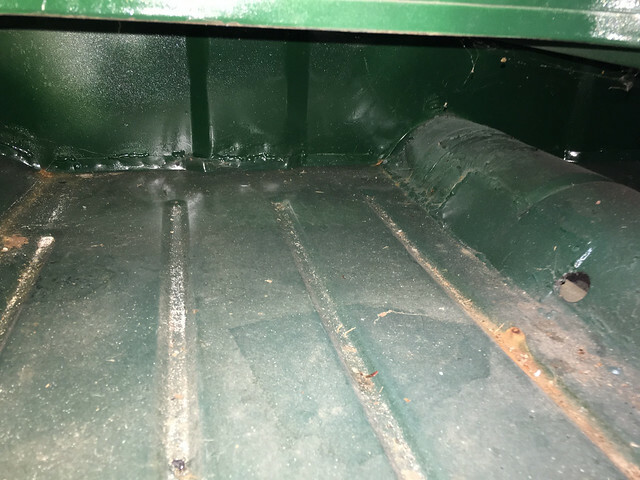 Perhaps the bulkhead can be saved but the toeboard is definitely in need of replacing. what a wonderful project. Definitely look forward to your progress!! 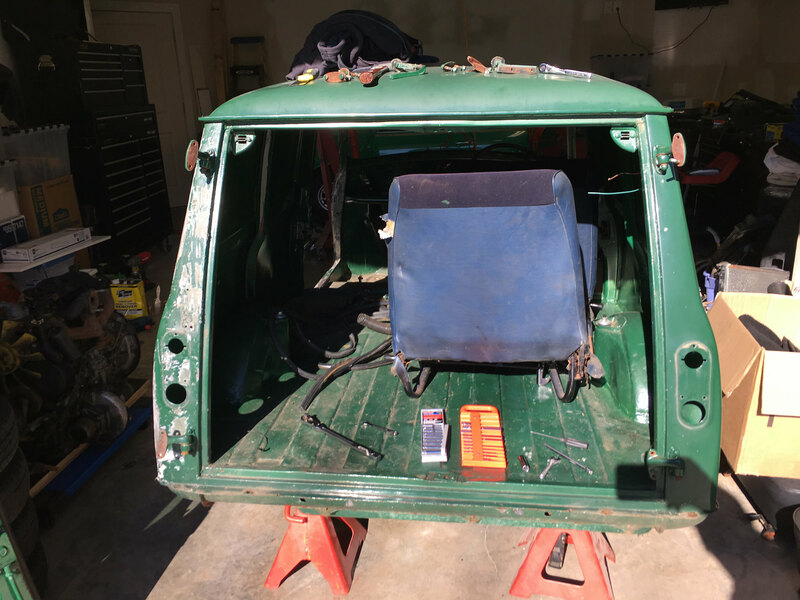 Engine out, doors off and now paint off. This weekend I managed to win my wrestling match with the remaining stubborn bolts holding the engine in. and then it was time to get stripping. Part of my eagerness was driven by a need to really account for what patches had been made and the quality of the work. 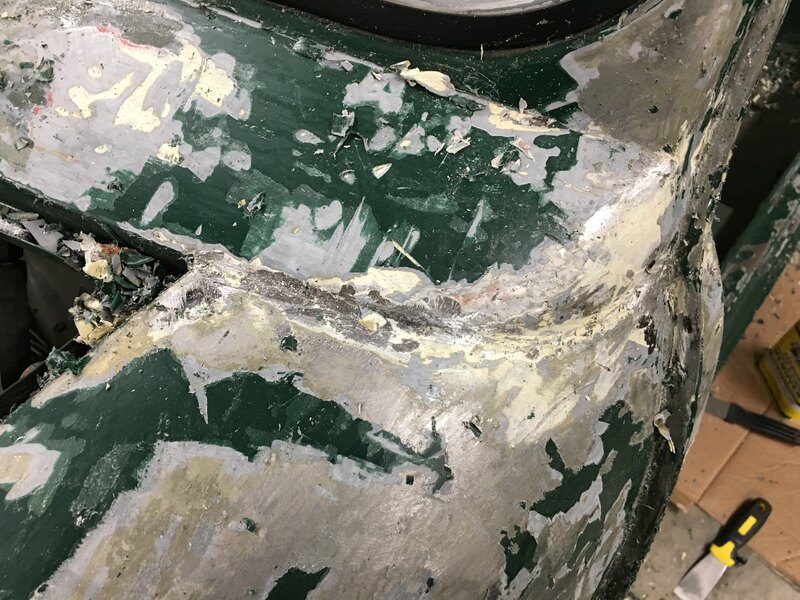 The seam between the wings and the scuttle panel was filled and prior to stripping, it was obvious that it wasn't seam sealer. 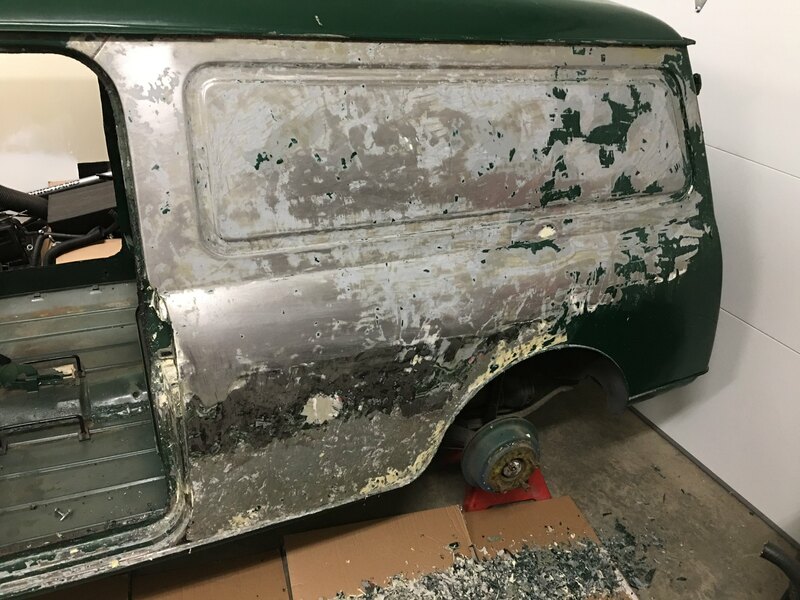 After a partial stripping of paint and some body filler, I'm not quite sure if the wings were welded and the welds dressed or if there is lead filler involved. It looks to be an okay job however I'm unsure about the look. 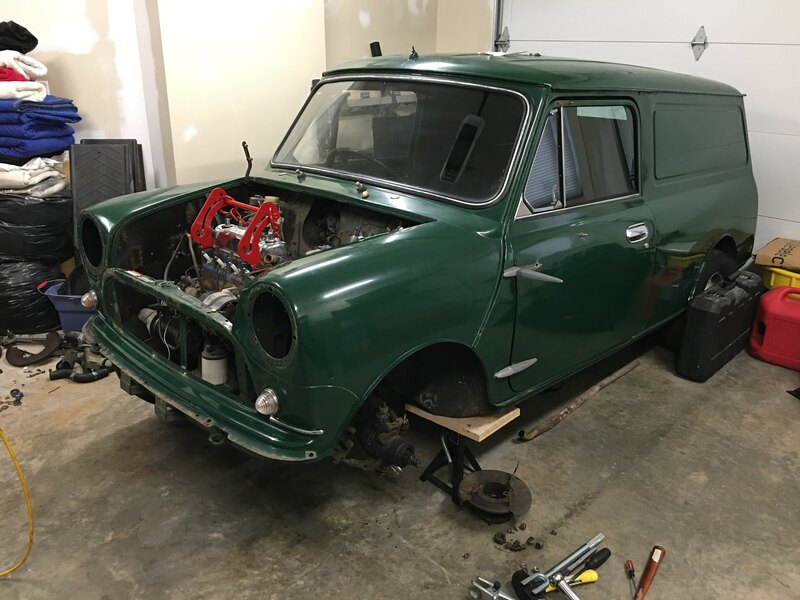 While I do like clean lines and the removal of unnecessary seams on cars, I can't help but feeling like Mini people would look at it and just assume it's filled with Bondo. The areas on the quarter panels were not a surprise. 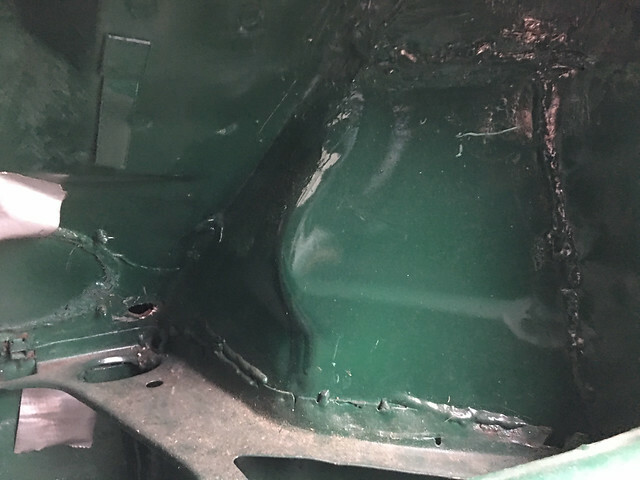 What I'm anxious to determine is whether or not the repair job was good quality with just too much filler on top, or if I'm going to need to install new repair panels. Edited by Vudu, 30 January 2019 - 01:40 AM. Love the photos... and what wonderful progress!! 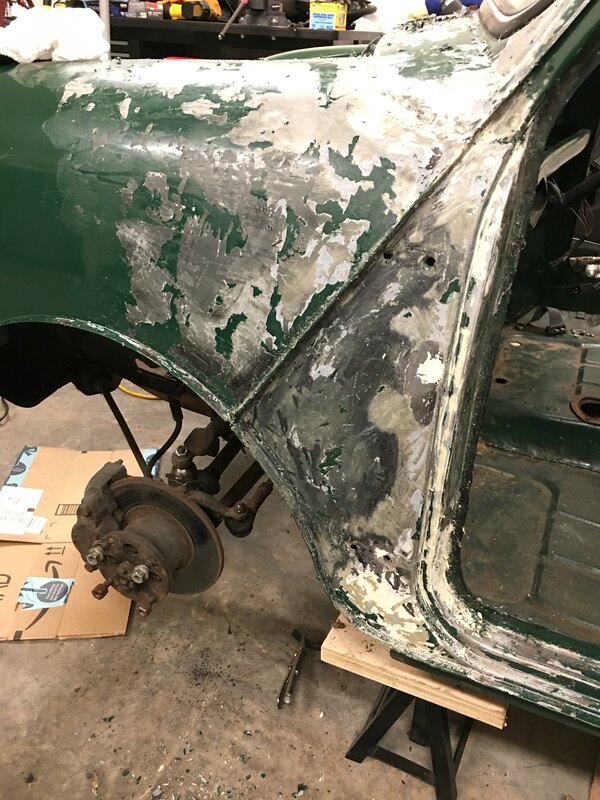 Removing the body filler is really slowing the progress. Looking forward to the roof and wings which are just paint. I was able to see that the van was bright red at one point in its life and the doors were yellow. More discoveries to come, I’m sure. More stripping and door removal. 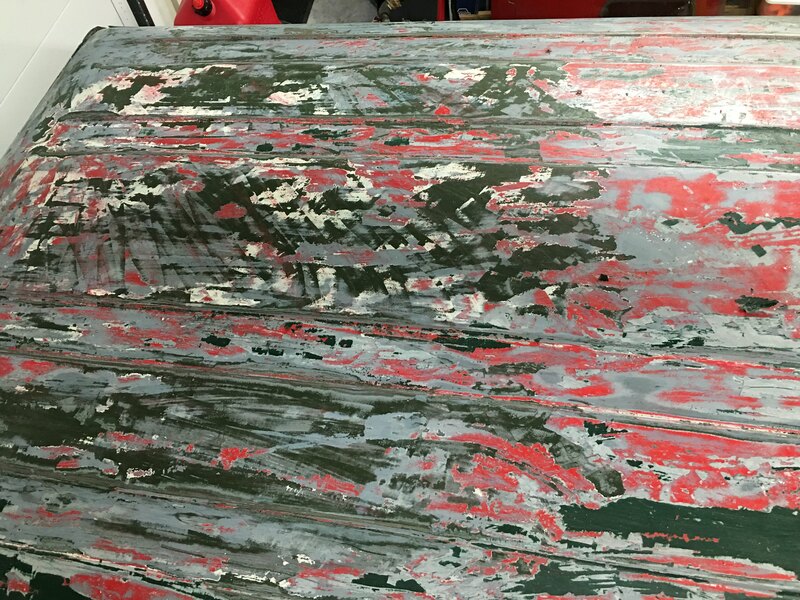 The cargo door hinges had many layers of paint on them. I had to do some scraping to even get a wrench on the bolts. Eventually I was able to get it all taken apart. More color layers/history revealed on this part of the door hinge assembly. Previous color included red and the original color which looks like either Wild Moss or something I’ve seen on a London telephone service vehicle. Edited by Vudu, 03 February 2019 - 02:20 PM. a near rainbow of colors.. so what color are you going back with? Any change of mind..
Also, some white applied to the roof at some point before the red. 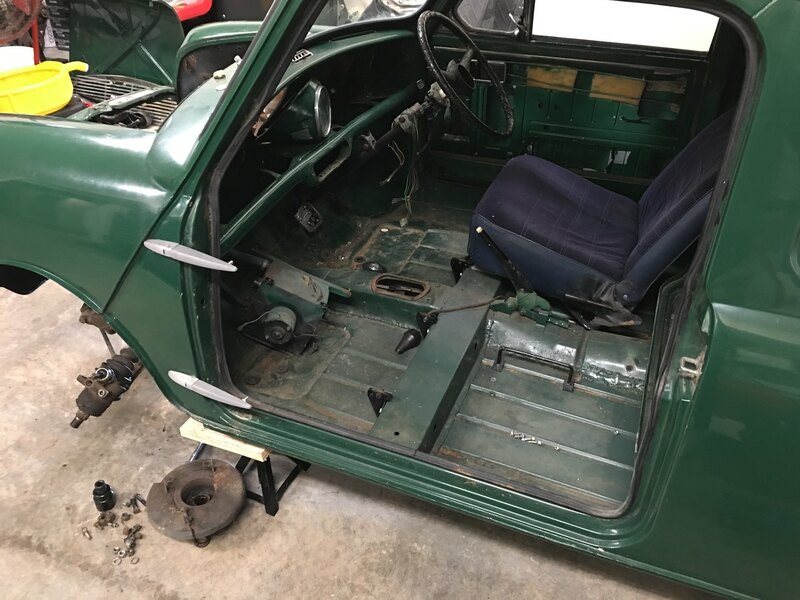 I know this will make me look like the Mayor of Simpleton, but I am having a rather difficult time getting the windows out of the doors. I've removed all hardware (including the remaining screws seen in the photo below...just reinstalled to keep winding mechanism in place) and yet only the vent wing wiggles a bit. 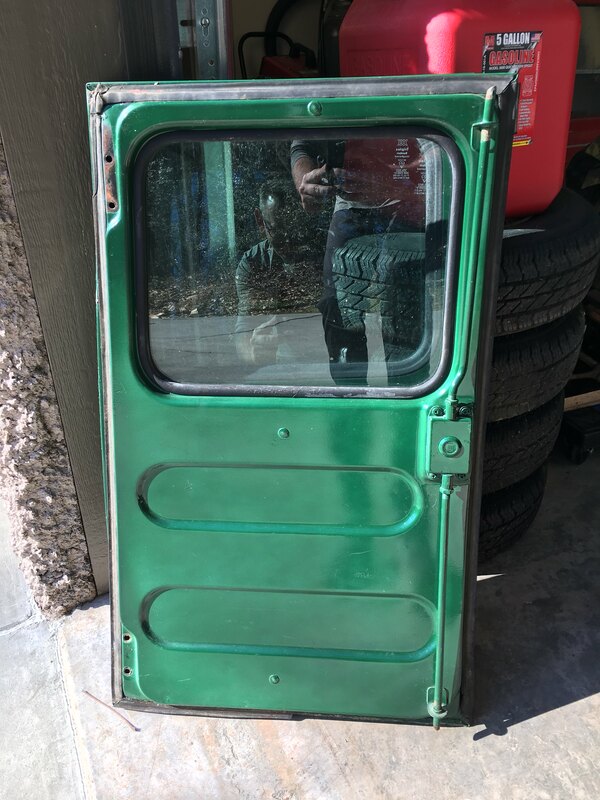 I cannot see any attachment point for the bottom window support to the arms that raise the window. Is there anyone familiar with Australian doors that could provide a clue or some advice? 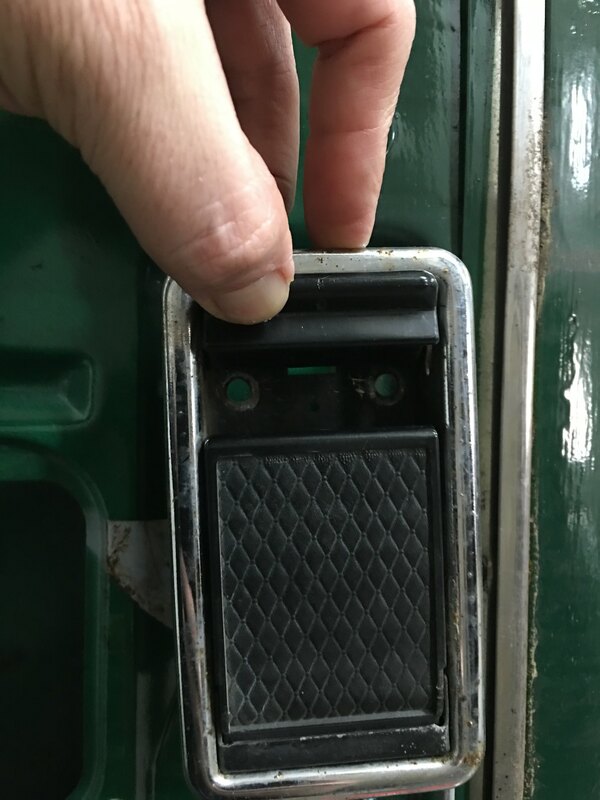 Another question for Aussie door people - These doors are the later model flipper handle variety. Can the earlier style handles be adapted without much fuss? 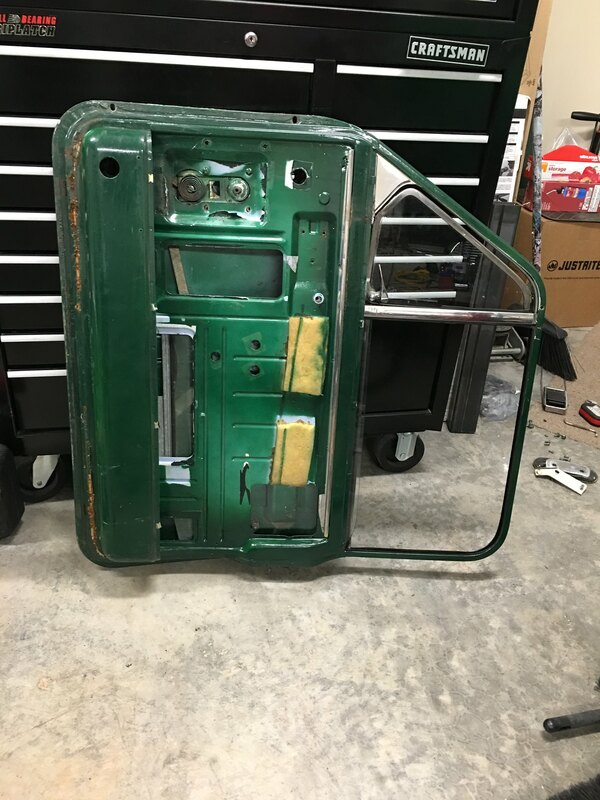 I will most likely be reskinning the doors so the actual opening for the handle is not a concern. I'd like to change the inner handle as well as the rectangular units on my doors look too modern for the vehicle.